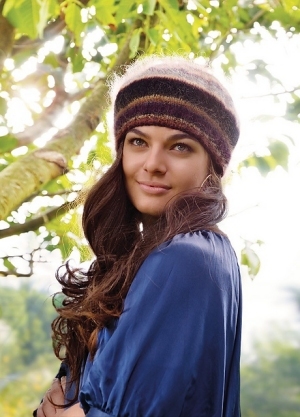 Taken from Kim Hargreaves Pattern Book - Honey: "This cozy beret made from Rowan's super soft Kidsilk Haze will keep you warm and stylish all winter long!" This pattern is from Kim Hargreaves Pattern Book - Honey, pg 71 - Sissy. Size US 2 straight needles and US 5 straight needles (or size needed to obtain gauge) are required but not included. Gauge: 23 sts and 32 rows over 4".